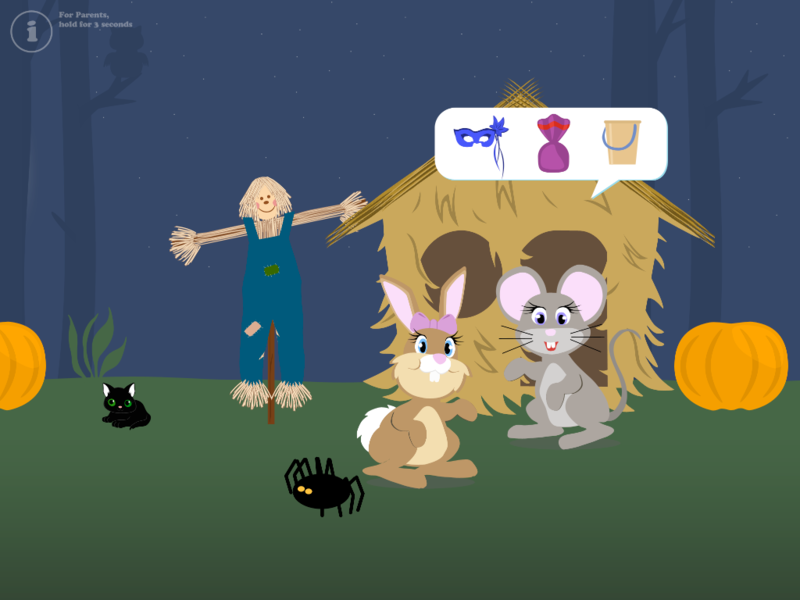 Join JayLee and her friends as they dress up, decorate and go trick or treating for Halloween. Halloween is almost here! Surely mommy and daddy have already carved the pumpkin and put up decorations to set the mood. The excitement is in the air but what can the little ones do to keep themselves busy until Halloween night has finally arrived? Well, in the mean time they would definitely enjoy helping JayLee and her friends prepare their neighbourhood for the big night. JayLee and each of her 8 friends still need help carving their own pumpkins as well as dressing up poor ol` bare scarecrow in front of their homes. The adventure doesn't stop there though, your little ones can also help JayLee and her friends pick out the perfect Halloween costume for each one of them to wear. Of course, we must not forget the most exciting thing about Halloween. Which is naturally, the CANDY! JayLee and her friends would love to fill up their Halloween bags. Your child can play with each friend to help them collect as many candies as they can. What better way is there for you to help your children to keep the Halloween spirit alive until October 31st has arrived? 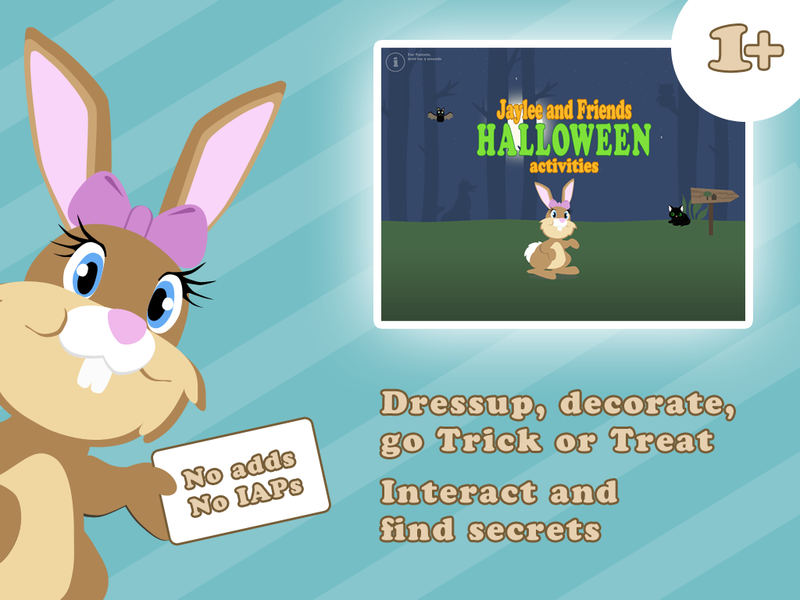 JayLee Halloween as well as the up coming JayLee series are apps especially made for children of Preschool age. 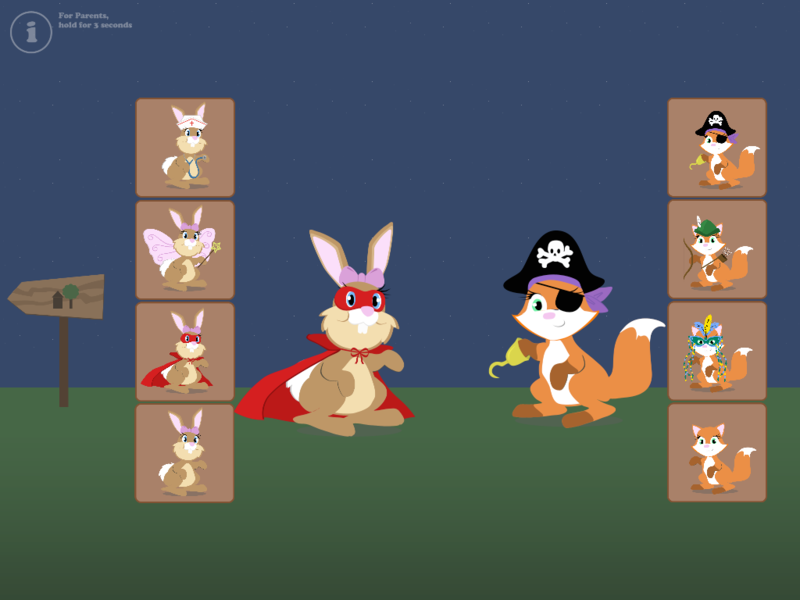 The mechanics of the game are simple and easy for Preschoolers to figure out on their own. 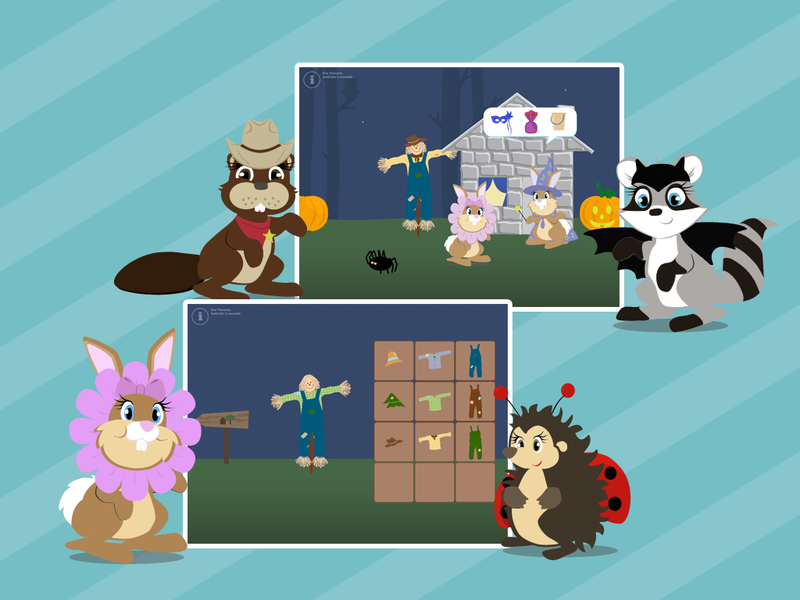 There are absolutely no hidden additional downloads that your little ones may accidentally press so you can confidently give them the game and let them learn what and where to push on their own. JayLee has 9 different costumes to search for and dress up in. Help her 8 friends choose from 24 unique costumes. Three different pumpkins with three different eyes, noses, mouths to choose from. Scarecrow has three different hats, shirts and pants to dress him in. There is also a balloon popping game to play. 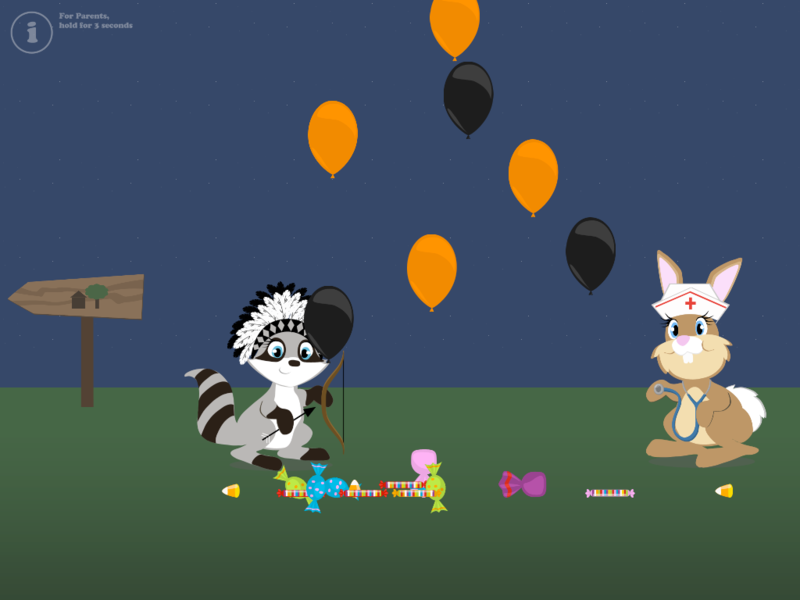 Candies drop from the balloons and they can be collected and eaten by each character. Or you can choose to play a trick on each friend instead. 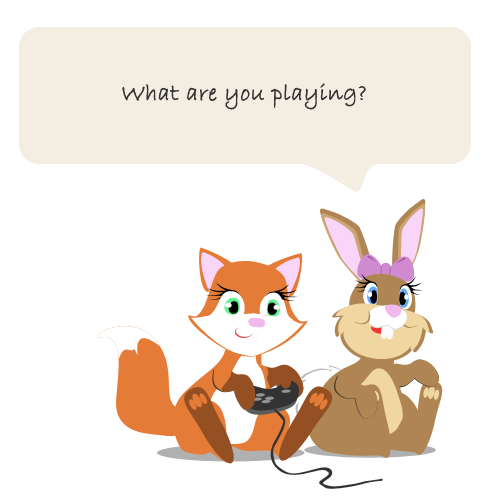 We specialise in activity and learning apps for children of Preschool age. If you are interested please check out our website at www.hopscotchentertainment.com.